LED luminaires from three Precision families feature in new King’s Cross venue. 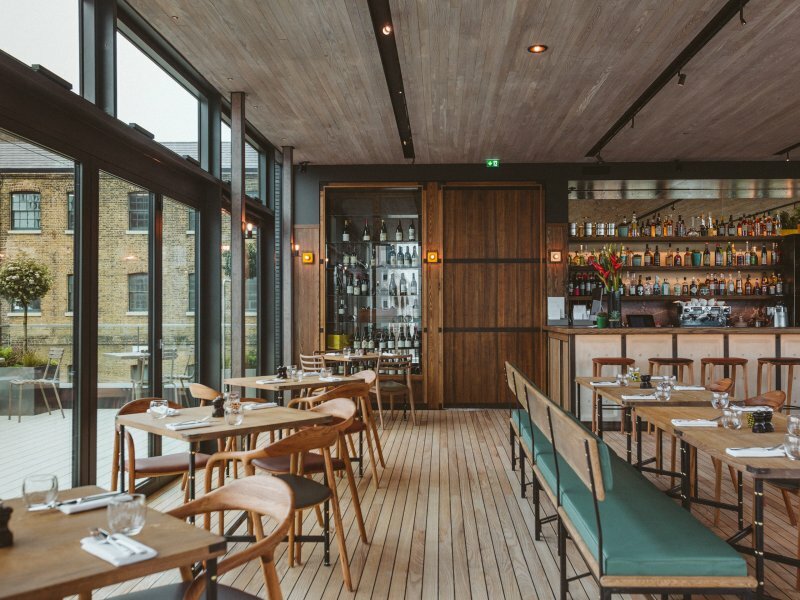 Located at Granary Square, King's Cross, the Lighterman is a new public house and restaurant offering stunning views over Regent's Canal across three floors, that has been successfully lit with Precision luminaires. 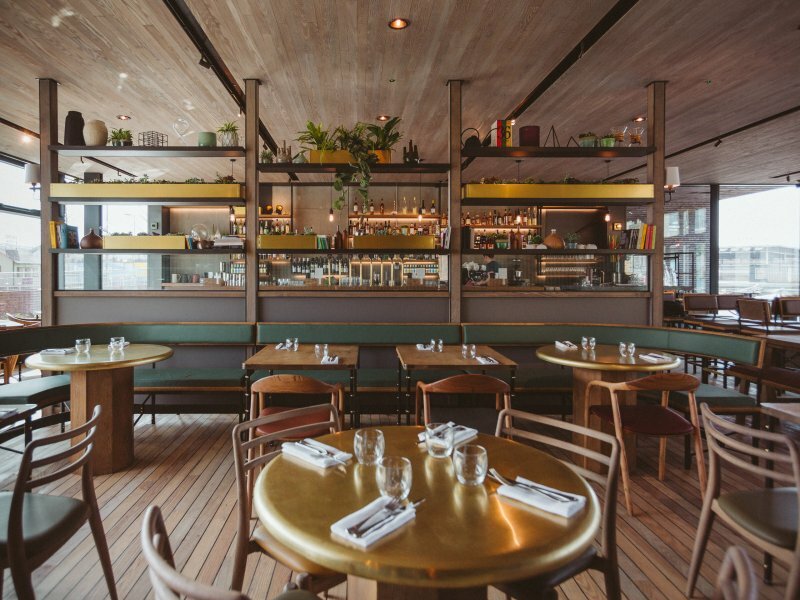 The Lighterman is named in homage to the workers who operated the lighters, a type of flat-bottom barges, through London's barges and canals during the 19th Century; a perfect name given the gorgeous scenery offered by the venue by its close proximity to the waterside. 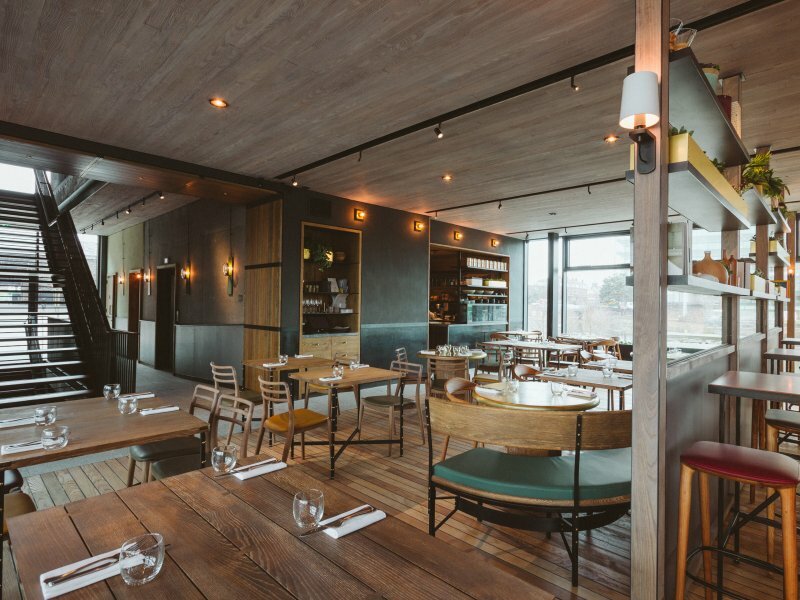 The Lighterman, the third restaurant from developers Open House, offers a relaxed ambience where all-day dining can be enjoyed by patrons, with breakfast, lunch and dinner menus carefully crafted by chef Diego Cardoso. Working closely with interior designer Coote and Bernardi, Precision were entrusted to deliver a lighting scheme that offered subtlety, flexibility and aesthetic cohesion. 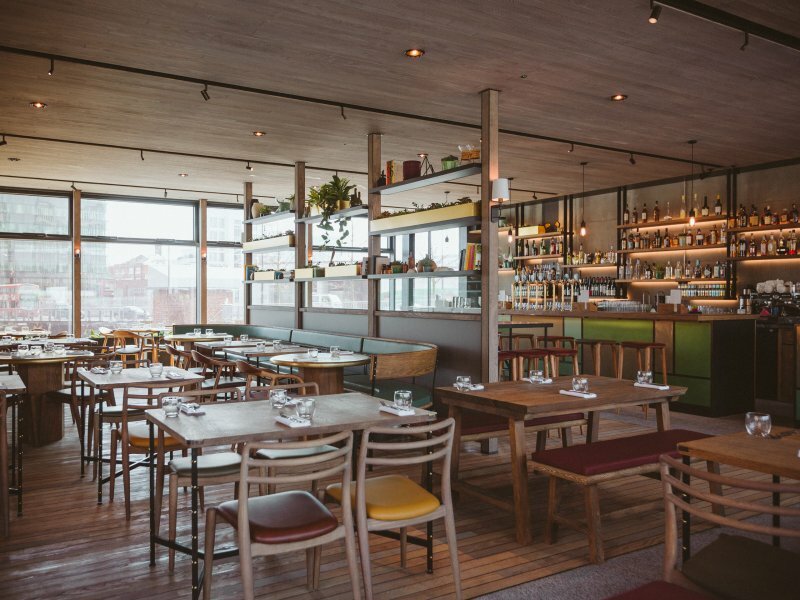 As the three floors are furnished with pale timber floors, exposed concrete and bare brickwork, the Lighterman required a lighting solution that co-ordinated with this stylistically. Precision's low-voltage Basis Track provided the perfect system for architectural integration. With a slight and elegant profile, the track could be recessed into shallow ceiling troughs within the timbered ceiling. Despite being cast in shadow, the Basis Track track was also finished to harmoniously match the rich wooden tones; machined from premium brass and finished to a dark rubbed bronze tone. The Basis Track provided a convenient means in which LED fixtures from Precision's Discus and Pico families could be installed with convenience while maintaining discretion. The compact Discus 11 luminaires and Pico spotlights were used alternately along the Basis Track; 48 of each in total were delivered across the three floors of the Lighterman. Both the Discus and Pico fittings were colour matched to the track for a cohesive appearance. Both spotlight families offer the Lighterman advanced features. With bearing aided pan rotation, and a constant torque tilt mechanism, both lockable, the Discus and Pico spotlights could be precisely aimed with confidence during commissioning. The Discus 11s, with 20-degree optics, provide a perfect fitting for spot lighting the tables throughout the dining areas. The Pico luminaires, offer careful and discreet accent lighting. As the focus of the Pico luminaires were varied, from decorative furnishings through to framed photographs that nod to the area's historical and industrial past, the luminaires needed to offer varying distributions. While the standard Pico 1 fitting has a choice of three optics, ranging from a narrow spot to a flood distribution, the Lighterman required more nuanced changes, and opted for the Zoom variant of the Pico family. The award-winning Pico Zoom features variable beam technology, thanks to a linear slide mechanism that allows the beam to be gradually broadened from a narrow 12-degree spot through to a wider 30-degree beam that allowed the venue to precisely fine-tune the beam requirements for each spotlight. 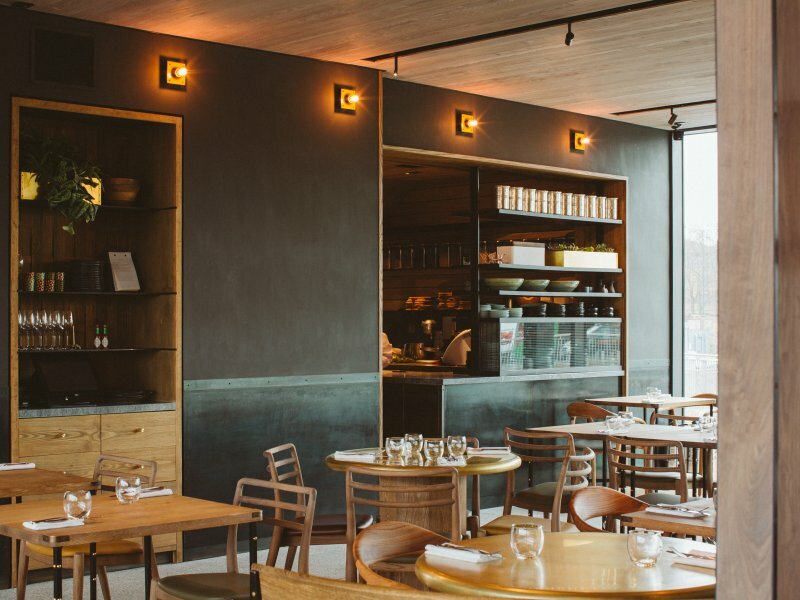 Additional accent lighting was provided with the use of miniature recessed LED luminaires from the Minimo family, with both Minimo Tilt and Minimo Eye variants being specified for the restaurant. Both recessed fixtures were provided in a rich, black finish to match the décor. The compact Minimo Tilt variants offered versatility and consistent beam focus, while respecting the interior aesthetic; even at the full 25-degree tilt, the luminaire does not protrude beyond the luminaire. The Minimo Eye variant was chosen for the flexibility it brought to the scheme, with up to 30-degree tilt, and full 360-degree pan rotation after installation. With interchangeable optics in both the Minimo and Discus luminaires, and the variable beam technology of the Pico Zoom, not to mention the smooth pan and tilt mechanisms of the spotlights, the lighting scheme for the Lighterman is one that respects the need for flexibility in the hospitality sector, and provides the restaurant an effective solution that will be continue to offer excellence and precision long after the launch.